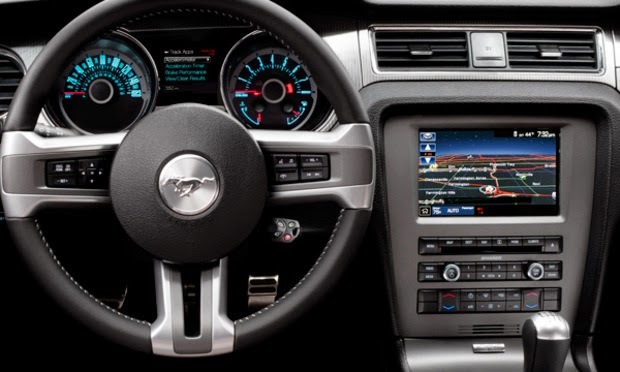 WJSG Internet Radio: The Music Industry Wants Royalties From Ford. The Music Industry Wants Royalties From Ford. There was a time, just over 20 years ago, when the music industry seemed to have figured out a way to get paid every time someone bought a device that enabled the digital copying of music. It didn’t quite work out that way, but no one seems to have told the Alliance of Artists & Recording Companies. The group filed a lawsuit on Friday against Ford Motor (F), General Motors (GM), and two companies that make devices that allow people to burn CDs onto hard drives in their cars. The record companies claim that doing so without paying them is illegal, and they seek unpaid royalties plus damages. Among the demands: $2,500 for every music device the defendants have installed. The suit centers on a 1992 law called the Audio Home Recording Act. At the time, the music industry felt threatened (correctly) by the prospect of technology that gave anyone the unfettered ability to copy music digitally. So the industry pushed for a law putting restrictions on the machines that could do the copying. Musicians and record companies would receive royalties from the sale of such devices, which would also be required to incorporate technology that makes it possible to copy music only from the original, store-bought CD. You couldn’t burn a copy of your cousin’s burned copy of The Chronic. But wait, didn’t everyone do that? Yes, which goes to show you the difficulties of attempting to handcuff technology with legislation. Many kinds of machines let you make digital copies of music, and technology companies wanted to make sure that PCs weren’t affected by the law. This led to all kinds of exemptions, which ended up including almost every kind of device that has gained mainstream traction. In 1999 a federal court effectively neutered the law by ruling that devices that copied music onto hard drives weren’t covered under it. This is a doubly strange legal tactic, given that the actual legacy of the Audio Home Recording Act was to broaden people’s legal rights to copy music. The law made it explicitly legal for people to make digital copies of music for their own personal use, giving peace of mind to people who might have been worried about making copies of their CD collections. Napster, one of the main villains of the digital music age, even tried to invoke the law in its own defense, although it failed. In either case, this particular law is a piece of legislation that those inclined to play copyright litigation hardball would probably rather forget than dredge up. If GM and Ford don’t have to pay these royalties, who does? The AARC says in its suit that some companies do, although it doesn’t say what they are. Herman guesses that letting those companies know that legal fees coming if they stop paying is the real goal of the legislation. “The protection racket only works if you break some windows every so often,” he says.